Compatible with the Brother PT-7600VP and all other printers listed here, the Brother P-Touch TZE-231 labelling tape is a superb choice. This range of label tapes comes in a whole variety of colours, but this particular one has a fetching black on white design. 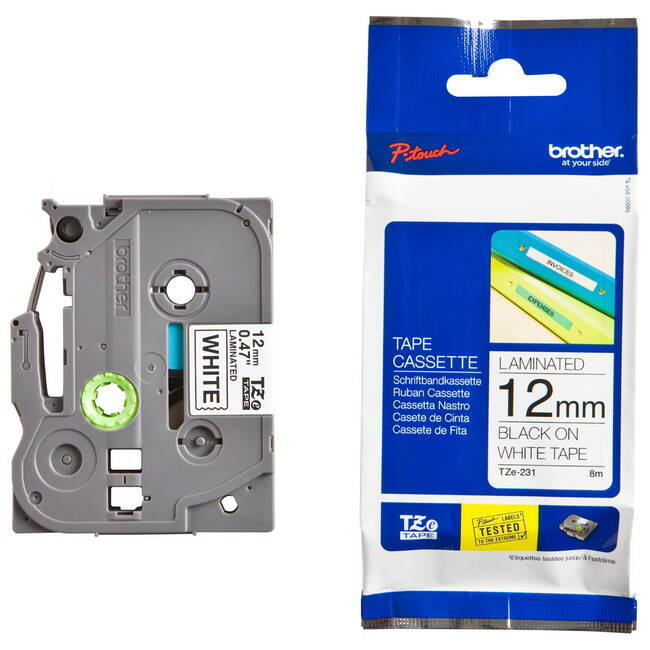 Brother realise that anyone willing to take the time to stay organised is going to want the results to last, and that is why they created the P-Touch TZE-231 label tape. This TZ231 tape is built to last, can stick to a whole host off different surfaces and can withstand a wide range of temperatures.